If you have spent much time on the internet, I am sure you have seen memes like the one shown above. They usually contain a picture and some sort of message. I really enjoy the funny ones, but I typically don’t like the serious ones. It’s not because I don’t enjoy being serious. It’s because you rarely know whether or not the information in the meme is trustworthy. Consider, for example, the meme shown above. 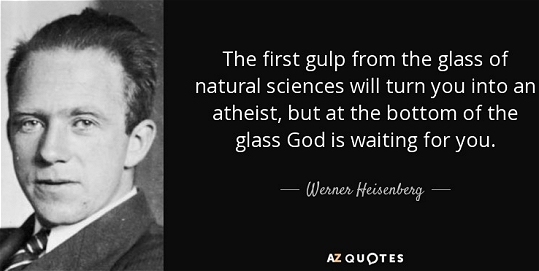 It attributes a quote to Dr. Werner Heisenberg, a giant in the field of quantum mechanics. Indeed, his work continues to guide our understanding of the atomic world. I fully agree with the quote, and I deeply respect Dr. Heisenberg. There is only one problem: the meme is almost certainly false. The care to be taken in keeping the two languages, religious and scientific, apart from one another, should also include an avoidance of any weakening of their content by blending them. The correctness of tested scientific results cannot rationally be cast in doubt of religious thinking, and conversely, the ethical demands stemming from the heart of religious thinking ought not to be weakened by all too rational arguments from the field of science. This is a common view among religious scientists. 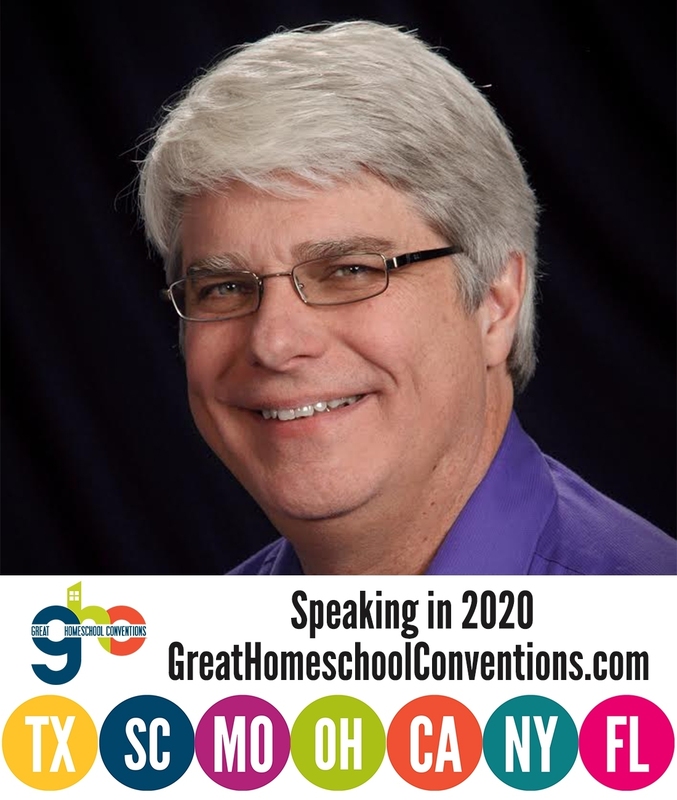 It often called the “Nonoverlapping Magisteria” (NOMA) view, and it was championed by Dr. Stephen Jay Gould, an ardent evolutionary evangelist who died in 2002. I strongly disagree with the NOMA view, so when I read Dr. Heisenberg’s work, I was disappointed that he seemed to hold to it. Obviously, someone who holds to the NOMA view would not say that God is waiting for you after you have drunk your fill from the “glass” of the natural sciences. Since Heisenberg wrote most of his work in German, I decided to use my limited knowledge of the language (which always amused my German Ph.D. adviser) and Google Translate to reconstruct the original quote. Using the German version (“Der erste Trunk aus dem Becher der Naturwissenschaft macht atheistisch; aber auf dem Grund des Bechers wartet Gott”), the earliest reference I am able to find is in a 1979 book entitled 15 Jahrhunderte Würzburg. It is a history of Würzburg, the German city where Dr. Heisenberg was born. The quote appears in the margin of the text, attributed to him without any reference. It was picked up by many other authors, so it appears in many other books. As far as I can tell, however, this is its first appearance in print, and it occurred three years after Dr. Heisenberg’s death. So while the quote in the meme above almost certainly isn’t real, its essence was written by a scientist who lived about 300 years before Dr. Heisenberg. There is simply no need to manufacture quotes that tell us how science can lead a scientist to believe in God. I can say that with some confidence, since science led me to believe in Him. Haha.. that’s too bad, it’s a nice quote. You gotta watch out for the chain mails too.. I got one about Leland Stanford being painted as a Jed Clampet type figure who opened Stanford because he was snubbed by Harvard. The moral of the story – Don’t judge a book by his “threadbare suit”. It was pretty funny. I also have a very vivid memory of my 5th grade teacher giving the entire class a presentation on patent law. She said if you mail yourself an idea and never open the letter, then it constitutes a legal patent in the United States. I’ve heard this one repeated more times than I can count! On a side note.. I know you and I have clashed on physics before.. I don’t know if you recall. Your Heisenberg quote was strangely timed with my friend sending me info about pilot wave mechanics gaining steam again – which I like. I’ve always been slightly annoyed at the current interpretation of double slit. There’s also fascinating videos on the Tube showing oil droplets passing through a double slit apparatus and creating perfect interference patterns. This is the one with the most views..
As the article you linked says, Bohmian mechanics (which is really just an interpretation of quantum mechanics) has its own set of problems, just like the Copenhagen interpretation of quantum mechanics does. There are other interpretations of quantum mechanics as well, and each is beset with its own problems. This is just a reflection of the fact that we don’t really know as much as we need to know to understand the atomic world. Science is a disciplined search for truth. It isn’t the only way to search for truth, and it cannot find all truth, but it is about truth. God is a God of truth. If science doesn’t lead you to God, you’re not doing science right. Hello Dr. Jay, how are you? I came here just to link a web site which I think is very interesting. That site belongs to David R Hamilton.